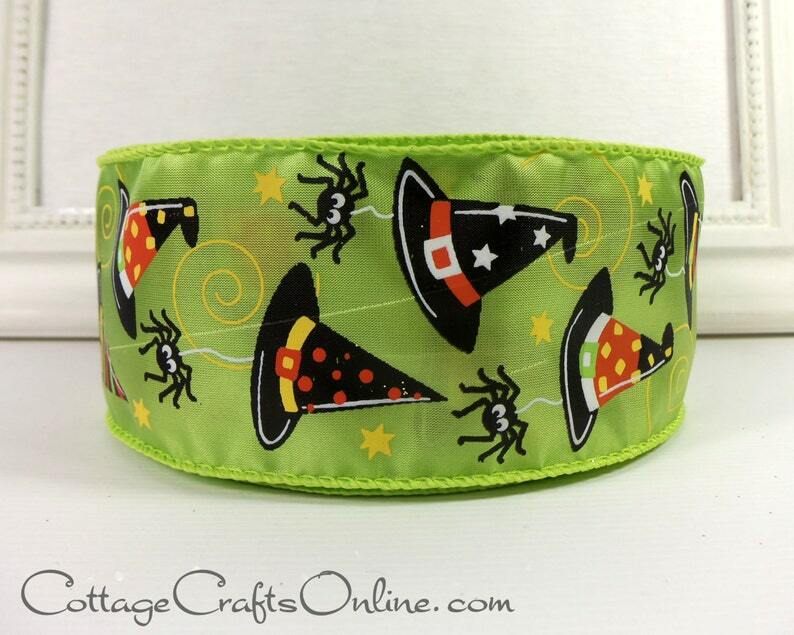 Citrus green satin background adorned with colorful witch hats complete with friendly spiders dangling from them, 2 1/2" wide with a wired edge. Perfect for Halloween projects! The ribbon is adorable and was shipped very quickly! Thank you!